Stolk Flora wants to be a sustainable company. This is why we follow the requirements of various MPS certification marks. MPS stands for ‘More Profitable Sustainability’. 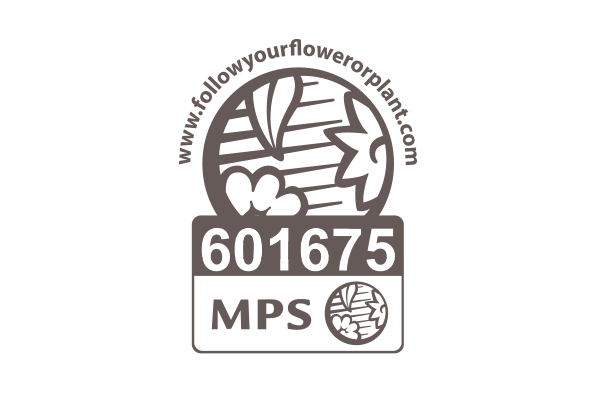 In 2006 we were awarded the highest possible MPS certificate: MPS Florimark Production. This certificate sets out sustainability guidelines for growers in various areas, from fertilizer to plant protection products and from energy to waste. The MPS Florimark Production certificate is not awarded to just any company: to earn it, we first had to achieve the MPS A+, MPS GAP, MPS Quality, and MPS Socially Qualified certification marks. Consumers can also see that we are assuming our responsibility. ‘Volg je plant’ (‘Follow your plant’) enables consumers to check Stolk Flora’s certifications. We have been involved with MPS-ProductProof from its conception. MPS conducts independent analyses of leaf samples to ensure that our orchids are really ‘natural’. It is proof that we grow our orchids with only organic, natural, bee friendly products. 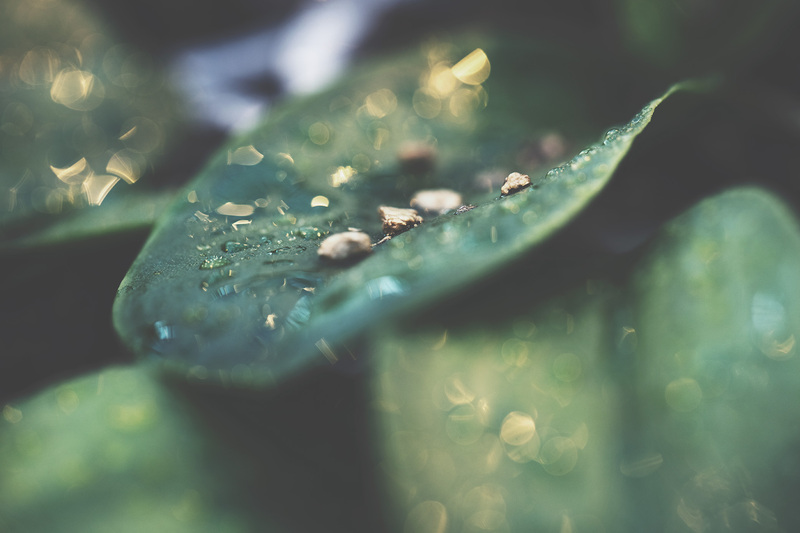 We take care of our natural resources, which is demonstrated by our MPS-ABC certification mark, a measure of how environmentally friendly Stolk Flora is. MPS monitors the nutrients, energy, and water we use and how we process our waste. 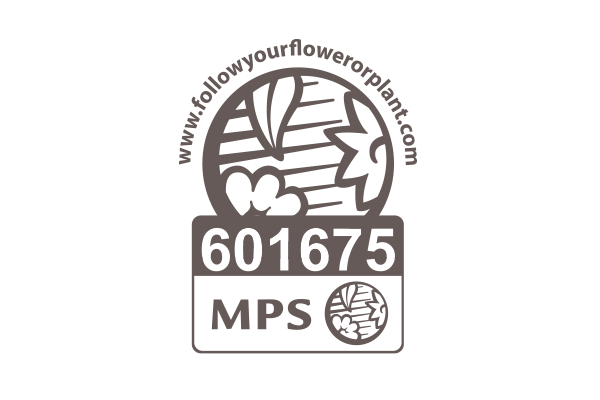 In comparison with other growers, Stolk Flora has been awarded the highest possible status for environmentally friendliness: MPS A+. We try to follow nature as closely as possible in the cultivation of our orchids. With our MPS-GAP certification, Stolk Flora has gone a step further than the internationally recognized GLOBAL GAP certificate. MPS-GAP places high requirements on such aspects as safety, sustainable cultivation, quality, and traceability. This certificate requires us to carefully monitor which fertilizers and other products we use for our ‘natural orchids’. At Stolk Flora we stand by our quality and our reliability. The MPS-Quality mark is a measure of that quality and reliability. We carefully keep track of what our customers’ think of us using customer satisfaction surveys. We also continually run tests to ensure that all our Phalaenopsis varieties will flower for our customers for at least 60 days. Our MPS Socially Qualified mark demonstrates that we meet national and international requirements in the field of safety, health, and working conditions. We comply fully with the collective bargaining agreement of the Dutch greenhouse sector, we only work with certified temporary employment agencies, and we guarantee equal opportunities for all employees. We at Stolk Flora look after our employees. We can measure our ecological footprint using the Benefits of Nature method. This method is used to measure the environmental impact of our entire production process; from the cutting to the packaged plant. We also involve the entire supply chain, which means that our suppliers are also subject to Benefits of Nature scrutiny. This enables us to keep careful track of our ecological footprint and, more importantly, identify where we can improve it.